since its opening, we've been hearing about (and seeing photos all over instagram) the broad museum. since i'm on a last minute business trip to the east coast, katie, lisa, and lauren took the trip downtown to give us the skinny. needless to say, i will be heading there soon. eli + edythe broad have been building their collection of postwar and contemporary art for decades, with the goal of making art more accessible to the public. 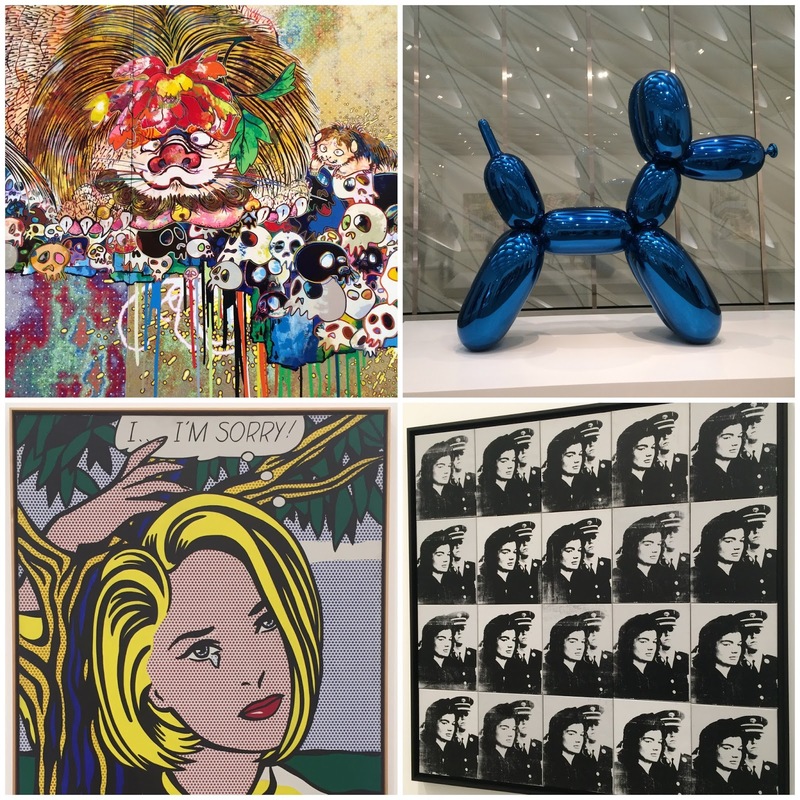 their collection includes over 2,000 works from influential artists like andy warhol, jeff koons, cindy sherman, keith haring, chuck close, roy lichtenstein, and jean-michel basquiat. to say that we were amazed by the inital installation would be an understatement; we can't wait to return. read on for some helpful visitor tips! get your tickets in advance to avoid spending quite some time waiting in line. since admission is free and the demand is high, we had to reserve ours in december! if you want to secure a time slot for the perfect instagram - in yayoi kusama's infinitiy mirrored room - the museum recommends getting there to put your name in during the first hour they're open. download the broad app before or during your visit to enhance your museum experience and learn more about the works through the app's mobile tour.